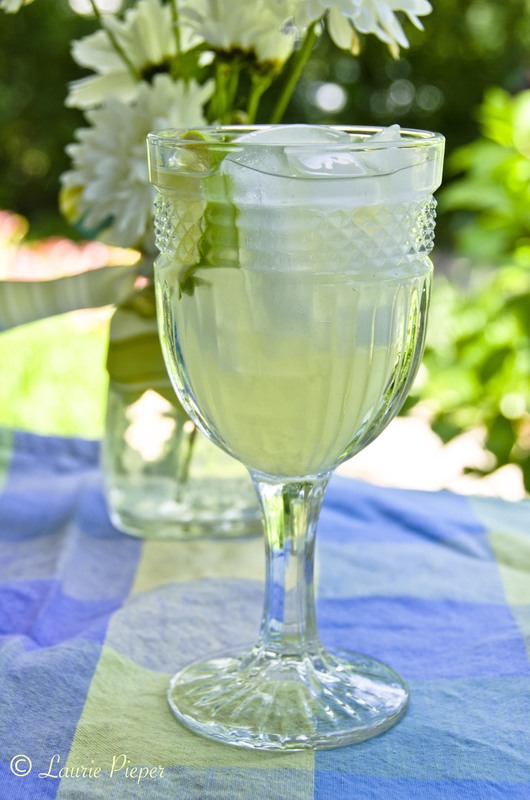 Having recently written in general terms about ways to use mint – see my post Mint: It Grows Like a Weed, but That’s Okay from 5/15/12 – I thought it appropriate to offer a few more mint recipes every now and then. Both of the recipes below contain mint ingredients employed to a subtle effect. Enjoy! Stir ingredients together. Chill until serving. Serve over ice. Garnish with mint leaves, or with lemon or lime slices. 1. Fill a large stock pot to about half full with water then add a dash of salt and bring to a boil. 2. Meanwhile wash and core tomatoes – a grapefruit knife works well for coring – and then cut an ‘x’ into the bottom of each tomato. Carefully drop tomatoes into boiling water. 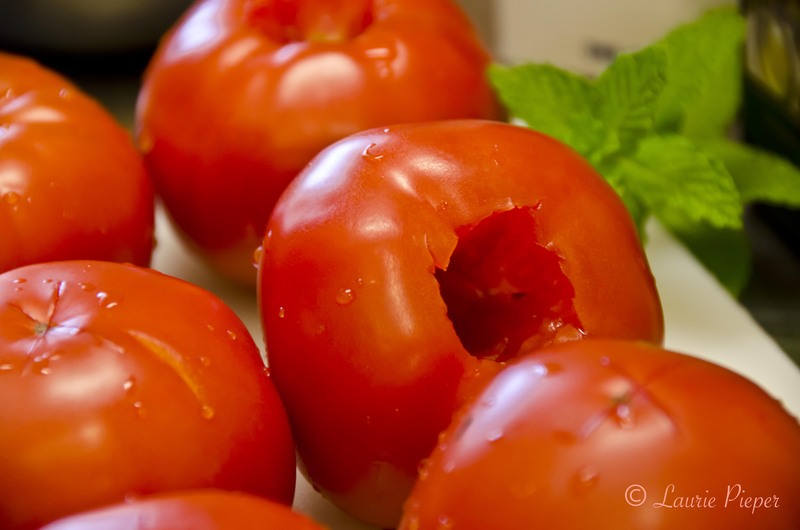 When the skins start to split, transfer tomatoes to a colander and give a quick rinse with cold water. Allow to cool. 3. Preheat oven to 425 degrees F. While the oven is heating, place the heavy cream in a non-stick pot, add mint leaves and vodka, and allow to simmer over low to medium-low heat. Simmer until the heavy cream is reduced to about 3/4 of a cup. 4. While the cream simmers, brush a baking dish with olive oil. Slice tomatoes and arrange them in baking dish, allowing them to overlap slightly. 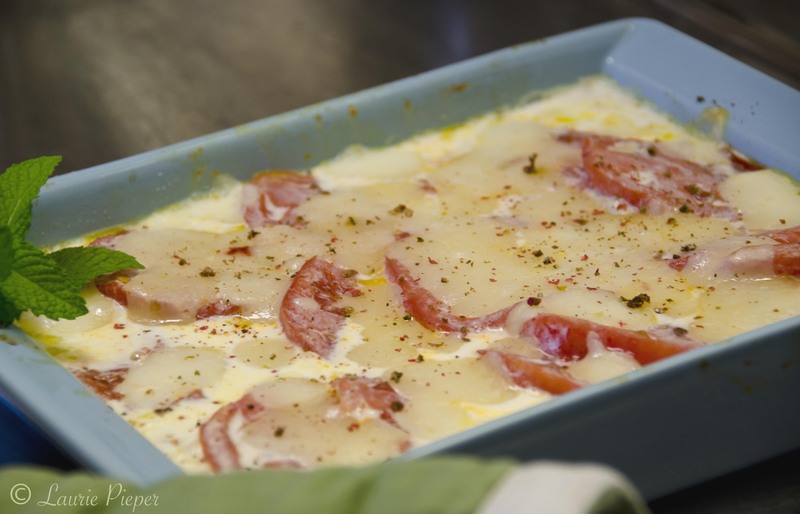 Strain the thickened cream over tomatoes. Sprinkle with cheese and then with salt and pepper. Bake for 15 minutes or until the cheese is melted. Serve as a side dish or with a rustic bread for a small but rich meal. This entry was posted in Recipes, Savories and tagged Beverages, Cooking, Food, Gluten-free, Herbs, Lemonade, Mint, Photos, Recipes, Tomatoes, Vegetarian. Bookmark the permalink.